Restarts have led to swift and dramatic improvements in low-performing schools when a high-performing organization leads the new school, and systems are in place to facilitate a smooth transition and strong community support. 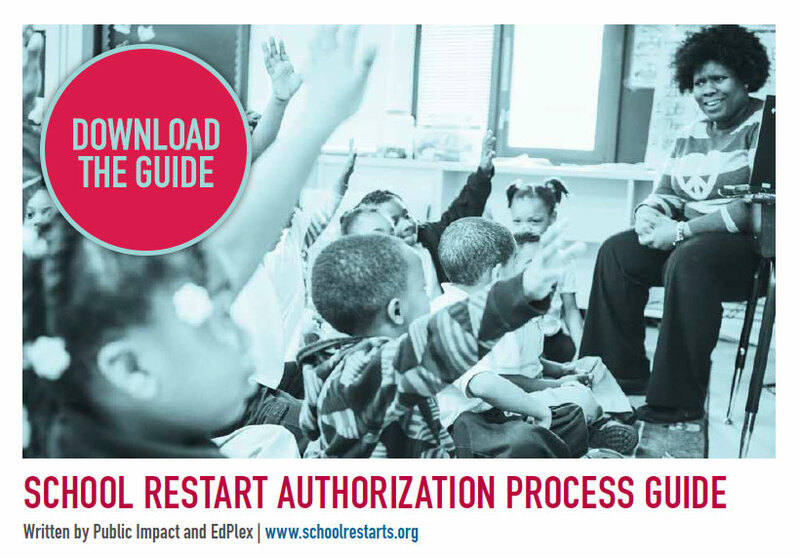 Designed to increase the success and sustainability of restart interventions, this guide provides practical, step-by-step guidance about what authorizers, school operators, and support organizations should consider when designing or refining a process for implementing restart. Based on the restart experiences of authorizers, school operators, education support organizations, and community leaders nationwide, the guide provides nine steps to a smooth transition. The process guide is complemented by the Restart Authorizer Resource database, with searchable tools and resources collected from authorizers and support organizations. These resources offer practical examples of the materials that support each step of the restart process.